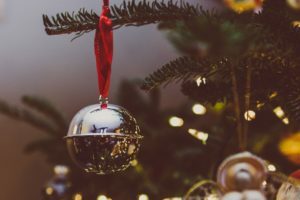 Holiday Loans to Get You Through the Holidays! Traveling during the holidays can be much more expensive than you’d expect. What will you do if the ticket prices are higher than you’re comfortable with? With an auto title loan, you can quickly obtain the cash you need to book those tickets, then pay it back later! The grocery list can really add up when you are preparing a festive spread of dinner and the accompanying treats–and don’t forget the eggnog!–for a holiday party. What’s a holiday feast without a dramatic and traditional turkey, goose or ham? You want to provide the best of the best for your loved ones, but it can get expensive fast. The next thing you know, you’ve got a trunk full of groceries and your weekly budget is blown! Even if you don’t own your car outright yet, you can still take advantage of a vehicle title loan. Even if your budget is strained during the holidays, you can still provide the presents on everyone’s wish list this year. You won’t have to choose between getting your son the skateboard or the bike–he can have both this year with the extra cash you have on hand from your auto title loan. It’s so fast and easy to get approved for a vehicle title loan in Arizona at many loan office locations, like Tio Rico Te Ayuda of the greater Phoenix area, and now Tucson and Casa Grande as well! Apply for your auto title loans from Tio Rico Te Ayuda today online, by phone, or stop into one of our many locations across Arizona and speak one on one with a friendly loan consultant!